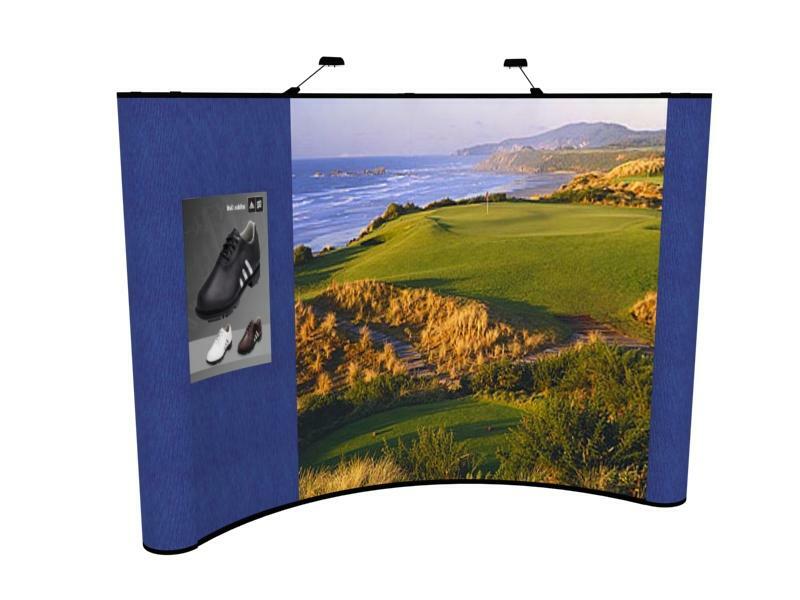 10 Foot Graphic Package 4: Large graphics make for large impressions, so talk to us about designing a killer graphic for your 10 foot pop up display package and make a difference in the next trade show you exhibit in. As a long time retailer of products related to trade show displays, ShopForExhibits has expanded their product lines to include new product offerings in the premium pop up displays line, along with new products in the retractable banner stands line. In order to support the business increase which they forecast for the future, SFE has recently gone live with a new web site that delivers an enhanced level of client support in the way of video demos and enhanced product information. Facing uncertain economic challenges, the online trade show exhibit retailers such as ShopForExhibits, are working diligently to provide not only reasonable price points for their products, but exceptional values in terms of ways of visually portraying a businesses' message, to quickly move prospects to buy. Not every business is able to successfully bring new products such as tension fabric displays, to market via the internet, but ShopForExhibits has positioned themselves in a positive way through their industry and product experience, and on line communication skills, to have the best results in this most competitive market.